Written by three renowned authorities in the actuarial field, Loss Models, Third Edition upholds the reputation for excellence that has made this book required reading for the Society of Actuaries (SOA) and Casualty Actuarial Society (CAS) qualification examinations. This update serves as a complete presentation of statistical methods for measuring risk and building models to measure loss in real-world events. The book continues to distinguish itself by providing over 400 exercises that have appeared on previous SOA and CAS examinations. Intriguing examples from the fields of insurance and business are discussed throughout, and all data sets are available on the book's FTP site, along with programs that assist with conducting loss model analysis. Loss Models, Third Edition is an essential resource for students and aspiring actuaries who are preparing to take the SOA and CAS preliminary examinations. It is also a must-have reference for professional actuaries, graduate students in the actuarial field, and anyone who works with loss and risk models in their everyday work. 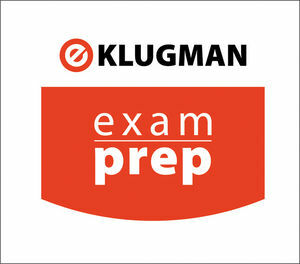 To explore our additional offerings in actuarial exam preparation visit www.wiley.com/go/actuarialexamprep. STUART A. KLUGMAN, PhD, FSA, is Principal Financial Group Professor of Actuarial Science at Drake University, Des Moines, Iowa. HARRY H. PANJER, PhD, FSA, FCIA, HonFIA, is Professor in the Department of Statistics and Actuarial Science at the University of Waterloo, Ontario, Canada. GORDON E. WILLMOT, PhD, FSA, FCIA, is Munich Re Professor in the Department of Statistics and Actuarial Science at the University of Waterloo.